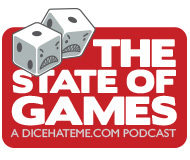 Some State of Games podcasts are influenced by the whimsy of the industry and some are just filled with our own internal discussions. This one has it all. From TC’s struggle with overused mechanics in games to what might cause a company to declare bankruptcy, we cover the gamut. It’s a big community out there, after all, and we care about it. Come listen to us ramble and rant about every little corner – and stick around for our love for all of it.